Prepare your nostrils to be taken on an adventure! Come and delight your senses in this 90 minute essential oil blending and perfume workshop with founder of Clean Slate, Kat Snowden, who’ll share her extensive knowledge of essential oils and their properties. With Kat’s background in aromatherapy and cosmetic chemistry you will be guided by her expertise and your own sensory preferences to create a beautiful custom perfume oil. You’ll leave this workshop with the knowledge to go home and create many of your own perfume oils, as well as learning interesting ways to use essential oils in your day to day life! All materials provided including essential oils, perfume roller bottle, and notes to take home! It all started with an itch… and by that we mean a physical one. 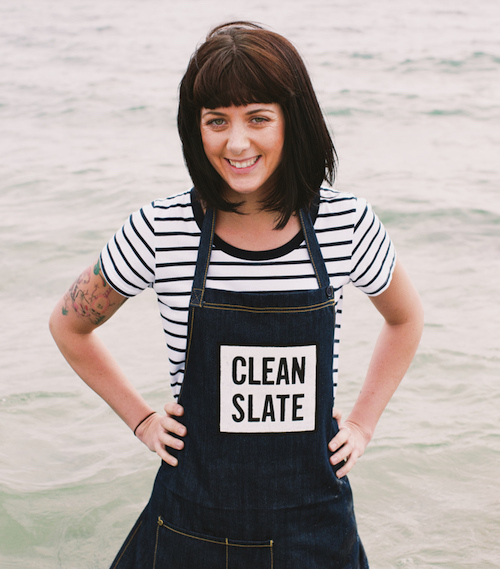 Clean Slate owner, Kat Snowden, wanted a natural alternative to the cortisone cream she had been using to treat her eczema. No bells, no whistles, just natural ingredients. And she never looked back. An expert on all things skin related, she has single handedly formulated and crafted a range of products that encapsulate over a decade of late nights and early mornings trialling and perfecting. Priding herself on her ability to make beautiful, high quality products honest and approachable, her time not working on new products is spent teaching and educating others on ingredients and processes.